The award-winning 2017 Jeep Grand Cherokee Limited provides a potent combination of luxury and ruggedness, making it one of the most versatile SUV's on the market. With its unmistakable style, numerous interior features, and high-end performance, the 2017 Jeep Grand Cherokee Limited offers something for every driver, making the most out of every drive. Whether you're making your way through Glen Carbon, or areas near Belleville, IL, Florissant, MO, and Edwardsville, IL, the 2017 Jeep Grand Cherokee Limited has everything you could possibly need for a comfortable and exciting ride, both on the road and off. 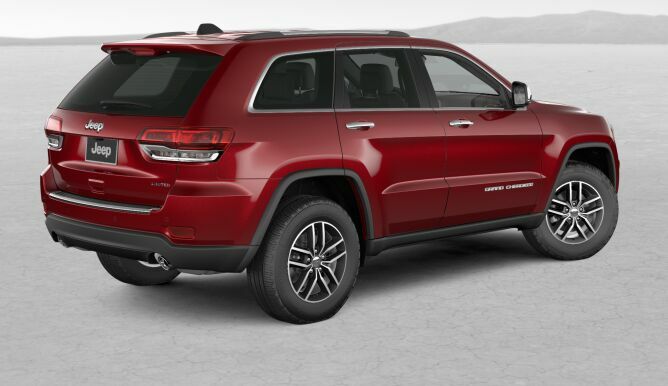 If you're looking to test drive a Jeep Grand Cherokee Limited near Bellflower, IL, come to Cassens and Sons Chrysler Dodge Jeep Ram, where we have the perfect Jeep Grand Cherokee Limited for sale in Glen Carbon, IL that's suited to your own preferences and needs. Our dealership caters to the auto needs of the southwestern Illinois area and beyond, and our huge selection of both new and pre-owned Jeeps is vast. 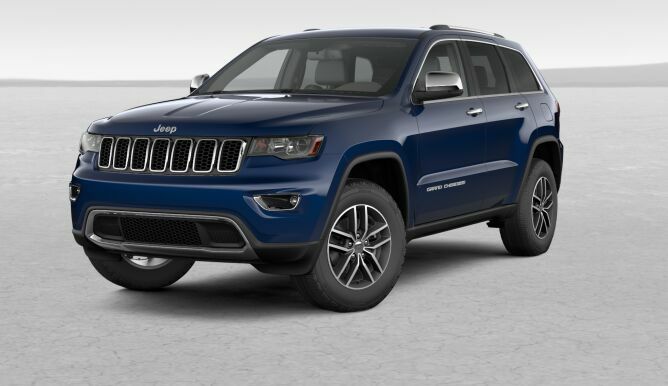 We'd love to help you find the best deal on a Jeep Grand Cherokee Limited in Glen Carbon, IL, so stop in to view all the vehicles we have on our lot, or feel free to contact us at the dealership with any questions you may have about our inventory or financing! The 2017 Jeep Grand Cherokee Limited blurs the line between elegance and a rugged, road-ready style that is equally suited for a night out as it is on a dirt trail. Contemporary styling gives the Grand Cherokee Limited a refined appearance, such as a signature grille design that is complemented by HID headlights and LED daytime running lights. LED rear taillamps and a sleek tail design help to complete one of the most recognizable looks on the road today. The cabin of the 2017 Jeep Grand Cherokee Limited is both spacious and luxurious, combining a wide range of technology features and plenty of head and legroom. The included Uconnect® 5.0 system provides Bluetooth® Streaming Audio and Hands-Free Calling, full-feature navigation, HD Radio, and iPod® mobile device integration, while heated seats and dual-zone temperature control keeps both you and your passengers comfortable. The 2017 Jeep Grand Cherokee Limited offers extremely impressive performance. With its 3.6-liter V6 24-valve VVT engine with ESS, the Grand Cherokee Limited puts out a massive 293 horsepower, giving you all the speed, power, and torque needed for any situation. An 8-speed automatic 850RE transmission ensures a smooth shift, along with optimal gear ratios that make towing and off-road scenarios a breeze. Fine-tuned suspension components give the 2017 Jeep Grand Cherokee Limited optimal handling regardless of speed, while also ensuring a smooth ride that rivals that of any sedan. No matter where the road leads you, the Grand Cherokee Limited gets you there in style, while tackling anything thrown its way. If you are searching for the most diverse 2017 Jeep Grand Cherokee Limited inventory near Bellflower, IL, just come by Cassens and Sons Chrysler Dodge Jeep Ram today to test drive one for yourself!